Step outside your villa retreat and embrace a welcoming abundance of amenities at every turn. While you can enjoy whale-watching, snorkeling, sailing, windsurfing and scuba-diving just steps away, there are plenty of on-site diversions to keep the entire family entertained. 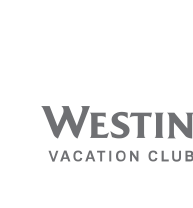 All with Westin® touches keeping in harmony with the Hawaiian culture. Open Daily: 6 a.m.–10 p.m. Whether you're looking to swim, snooze, soak up some sun or splash with the kids, enjoy your choice of outdoor pools, including a Main Pool, located in the front center of the resort, and two plunge pools located in the Napili Courtyard. Join yoga, meditation, run, and cardio classes. All classes meet at the Ocean Lawn. Must be 16+ for all classes. Contact your Concierge for times and schedules. Celebrate the transition from day to night with our torch lighting ceremony each evening. Full Day: 9 a.m.–4 p.m.
AM Half Day 9 a.m.–12:30 p.m.
PM Half Day 12:30 p.m.–4 p.m. 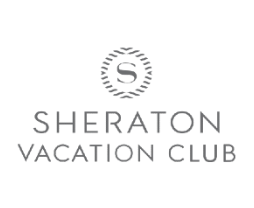 Seasonal Night Program Wednesday–Friday 5 p.m.–9 p.m.
Westin Family Kids Club creates a safe, supervised world of fun for your children ages 5 to 12. Exciting activities will introduce them to Hawaiian culture, pastimes and traditions. With help from attentive counselors, kids can participate in fun-filled adventures, games, and arts and crafts. Children will go home with memories they can't make anywhere else. Open daily, 9 a.m.–7 p.m. A Heavenly Spa by Westin®, Spa Helani was voted one of the Top 10 Favorite Getaway Spas in the World by the 2010 Readers' Choice Awards by SpaFinder. Indulge in pure relaxation, while skilled therapists nourish your spirit with one of our luxurious treatments. Featuring signature, all-natural Hualani spa products exclusively designed for the Heavenly Spas in Hawai'i, each experience captures the culture of the islands. In-villa and customizable services are available by request. Find your inspiration as experts share tales of Hawai'i's rich history and traditions, as well as a variety of cultural experiences. There's no reason why you can't keep your fitness routine in check and on track with the state-of-the-art WestinWORKOUT® Fitness Studio. Advanced cardio and strength machines, an array of fitness classes, a sauna, steam room and more await you. Enjoy snorkeling, scuba, stand-up paddle boarding, kayaking and more. Cook up a tasty meal with ease at our convenient outdoor grill stations. The kids can have a blast splashing around while you relax poolside. Our resort is located right on the sands of world-famous Kā'anapali Beach — perfect to take advantage of snorkeling, scuba, paddle boarding and other water sports — or just relaxing surfside.